We startet the day before with building up our booth. 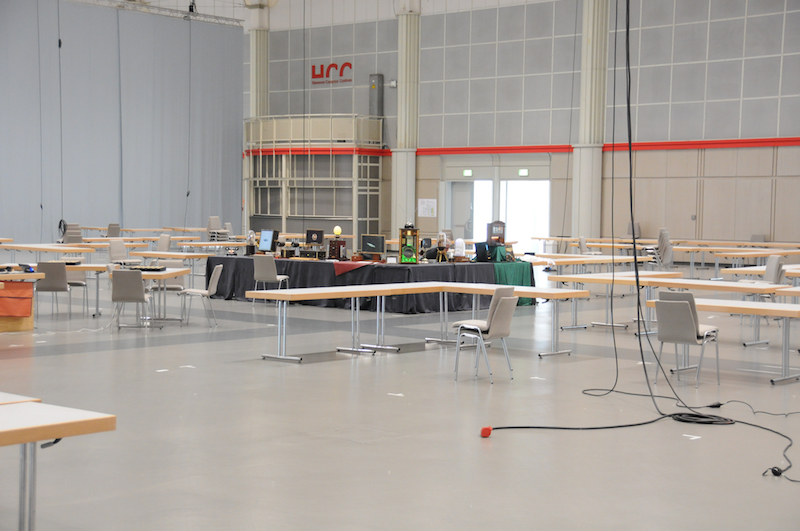 A glimpse into the other hall: only Jochen Enderlein finished his Steampunk booth. 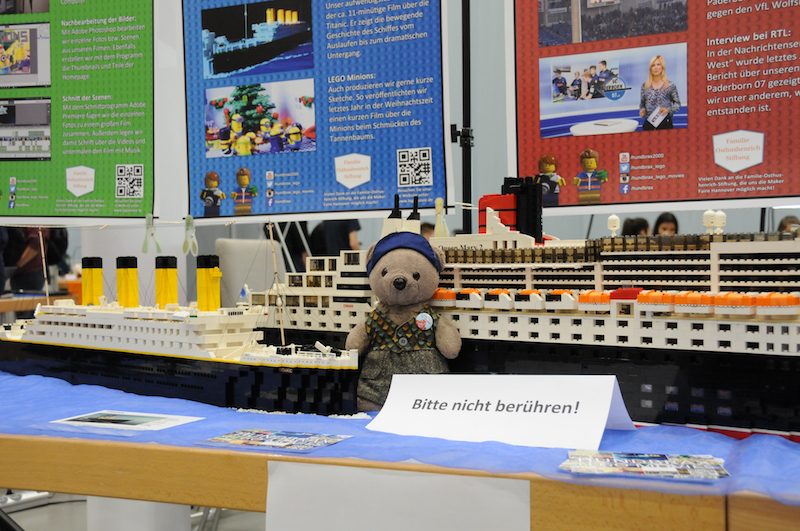 The Friday morning was Pupil’s Day – the MakerFaire was open only for school classes and their teachers. I was not there, but Daniel LeMath told me, that at least some of the boys and girls had been very interested. The afternoon a barcamp took place; e.g with a session about publishing in the Make: Magazine. 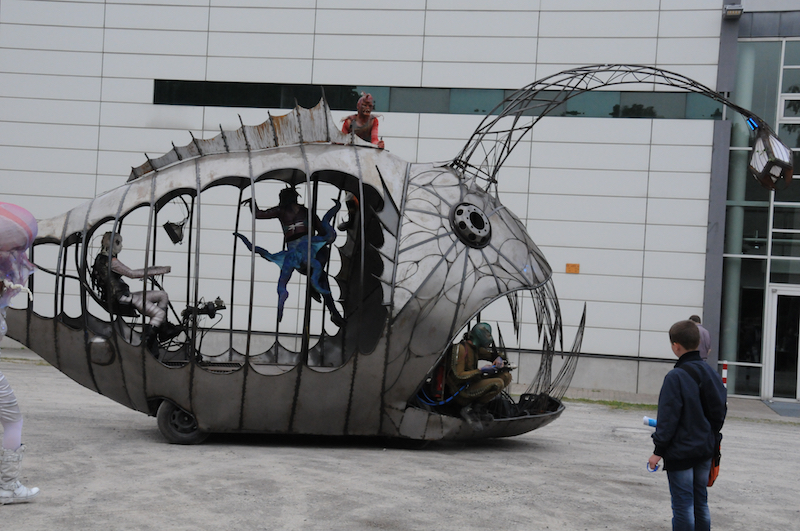 In the evening the makers changed the location to the parking area of the Heise Verlag (the organizers of the MakerFaire) for a barbecue. Saturday and Sunday the MakerFaire open for the public, and I started my discovery tour. 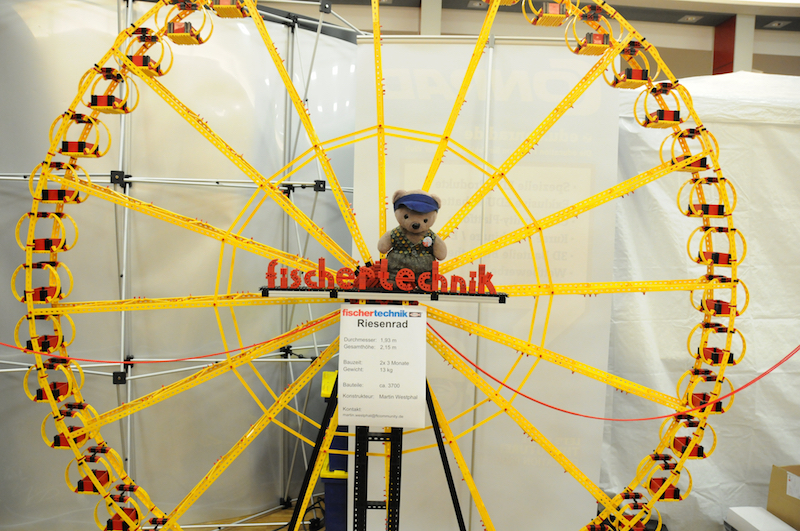 The guys from the fischertechnik club were not far away, so I stopped there first. Unfortunately I was too big to fit into the baskets of the Ferris wheel. Oh – this was fantastic, too. 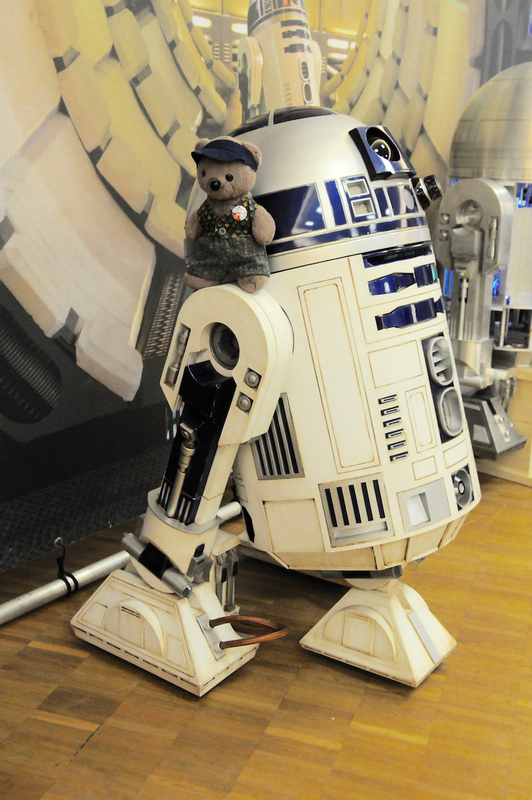 The R2D2 Builders Club was there, and they allowed me to sit on one of their robots. There was so much to see; it was hard to decide where to go first. I visited Hundbrax LEGO Movies – the boys, who shoot LEGO films in stop motion technique. They filmed the sinking of the Titanic. The film has a length of eleven minutes, and they worked a whole year! With their films they earned a lot prices. Time to go outside. 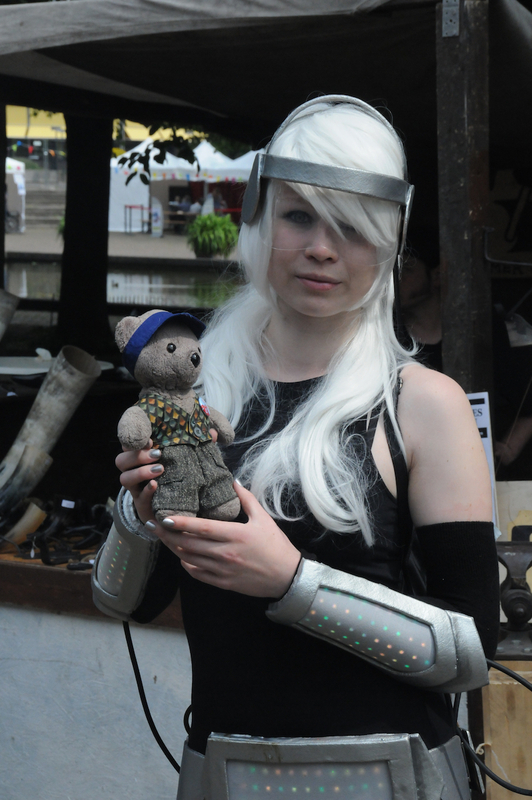 The first booth, I visited was the a blacksmith’s shop of Hammer und Schwert. They sold drinking horns. 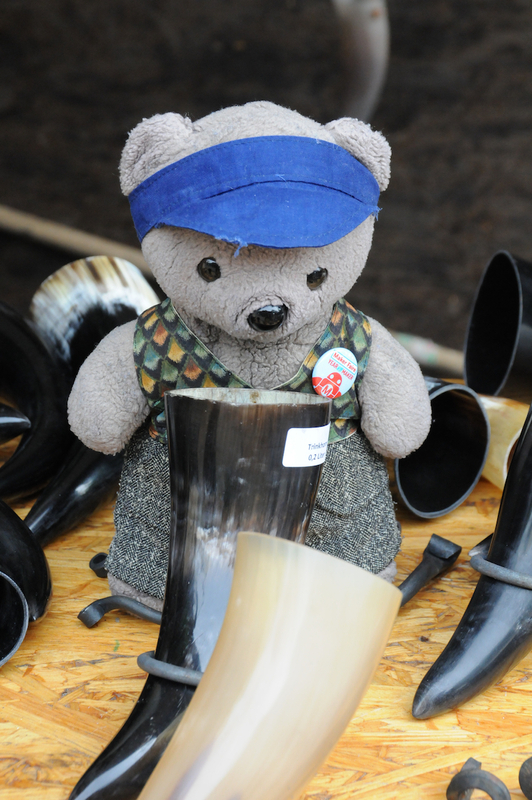 I inspected every horn, but they were all empty. Of course I wanted to inspect the fire place. The friendly smiths put me into a horn, so I was a little protected. Some steps further I met Lea – a cosplayer in full habitat. And finally I visited the performance of the Tiefseefisch. The story plays in the year 5000 and something. The mankind lives under the sea researching the environment there. The meanwhile intelligent fishes and squids and jellyfishes try to free the research objects. Two musicians played bass an theremin. 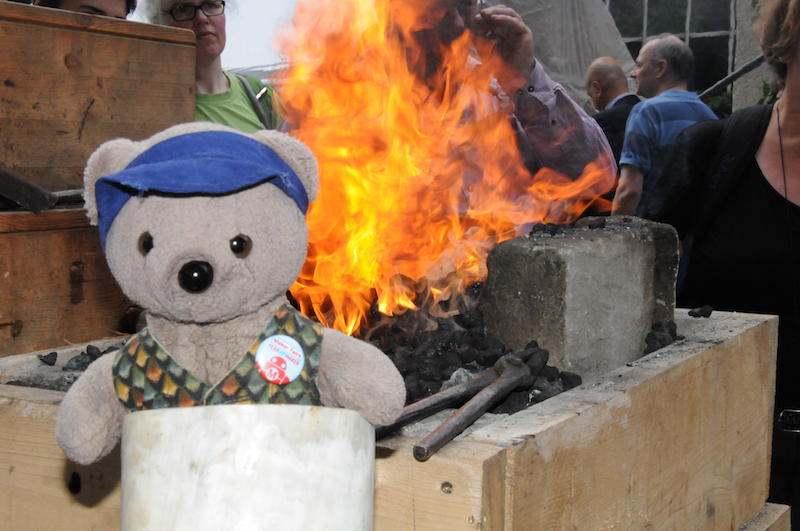 Phew – this was a little bit frightening for a little bear. But very interesting. Now it’s time for a little coffee break. 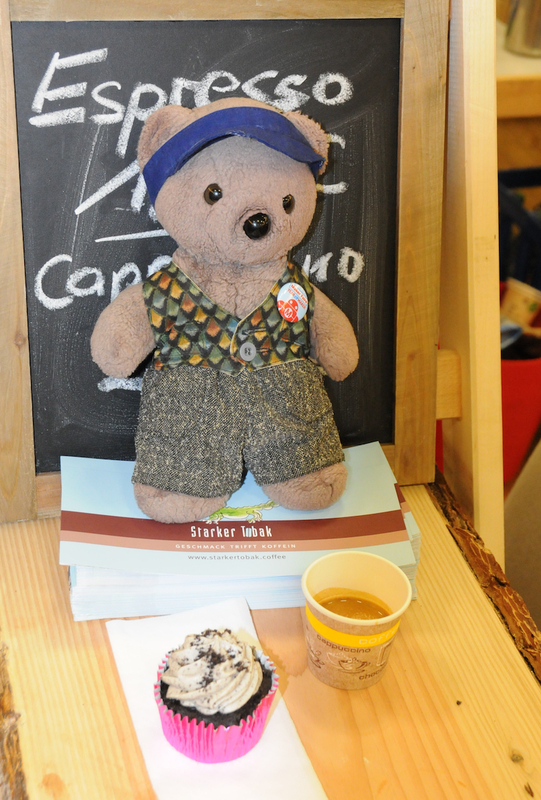 There was a booth with fantastic espresso and at the neighbor booth very delicious cup cakes. Back to work. 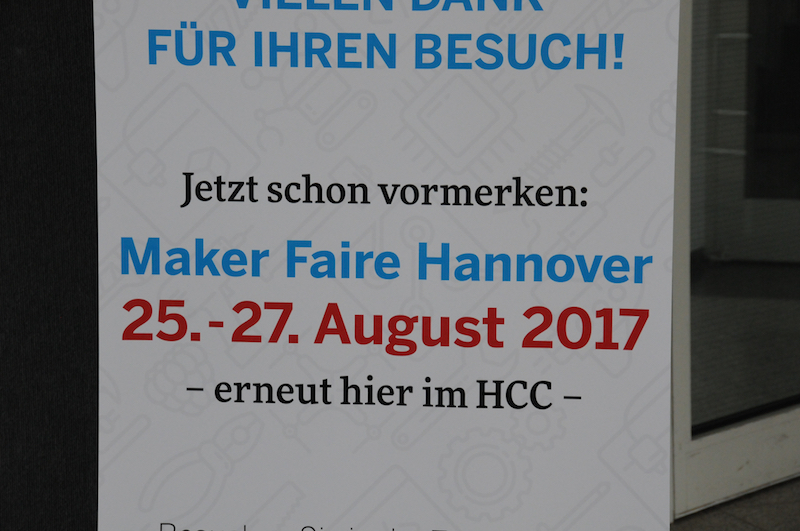 The next stop is the booth of the Arduino Group Hannover. 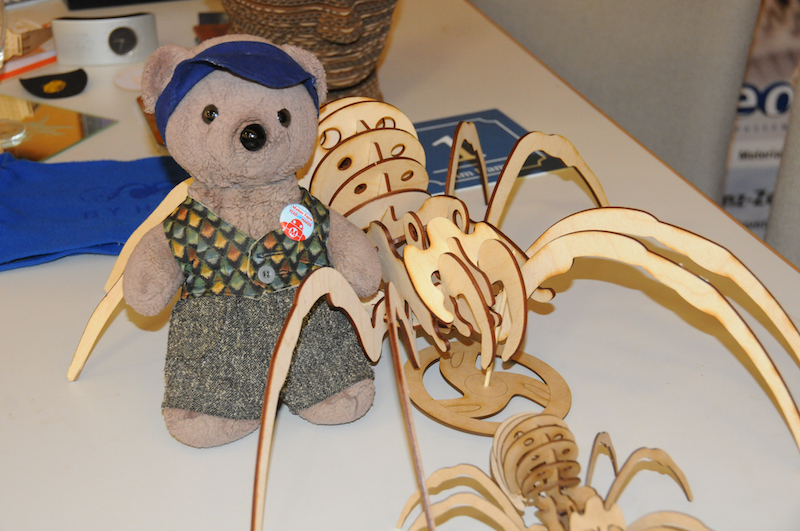 Joachim built strandbeests and sold the the lasercutted wooden parts at his booth. 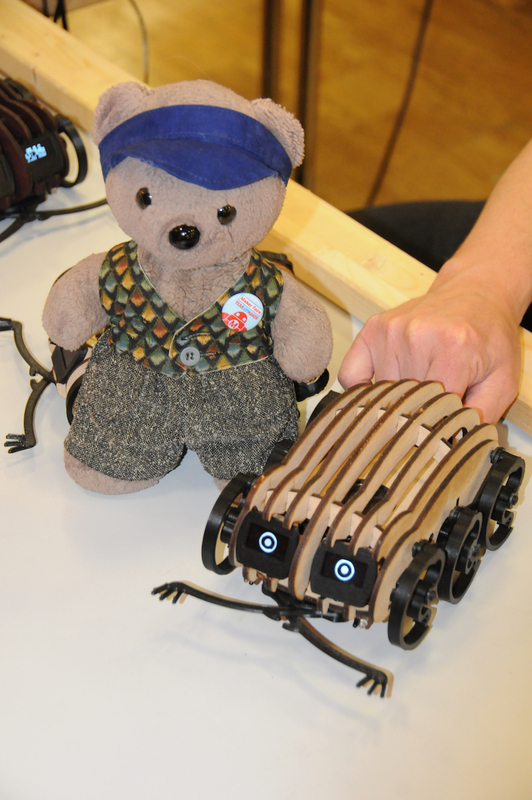 And Rainer showed his woodwalkers – complete with a lot sensors, LEDs and two OLED displays. 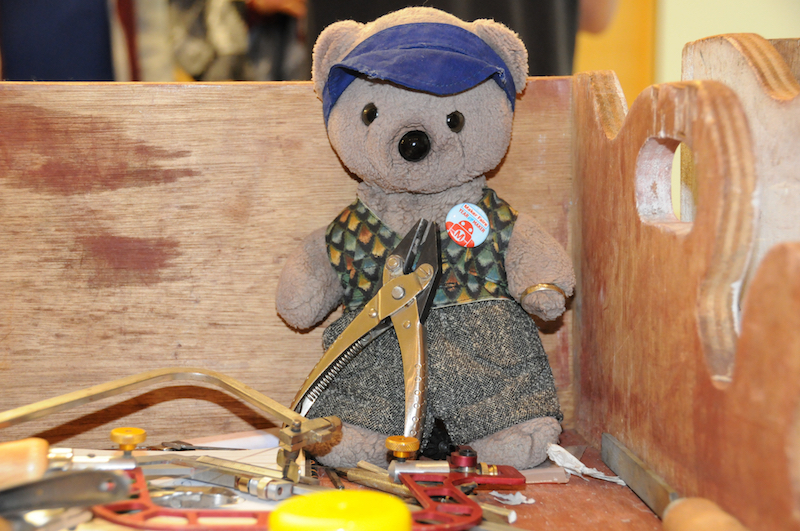 And of course there was a soldering workshop. The kids soldered an LED chaser. 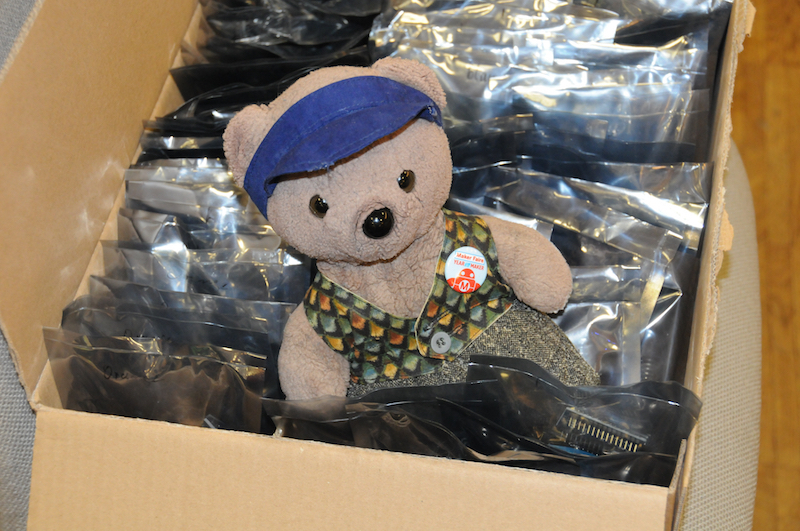 I inspected the bags with the parts; all were complete. And then I saw the disaster. 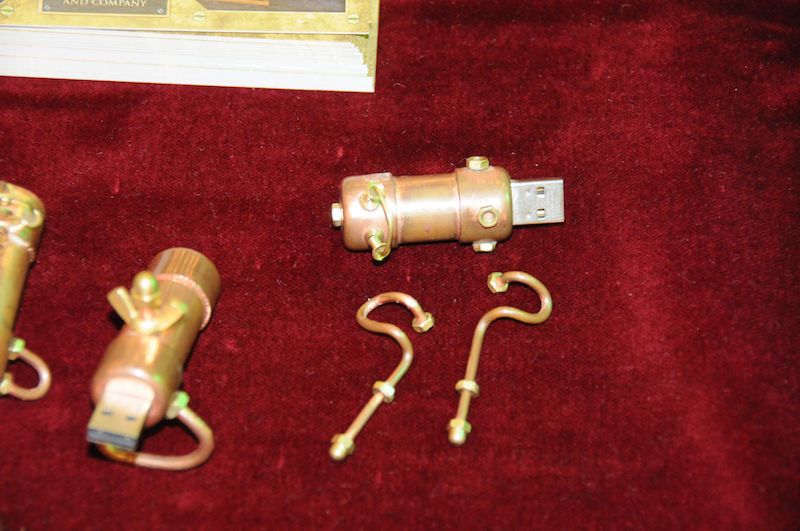 Daniel LeMath dropped one of his USB sticks during the buildup. And he had to learn, that super glue does not glue super glue. 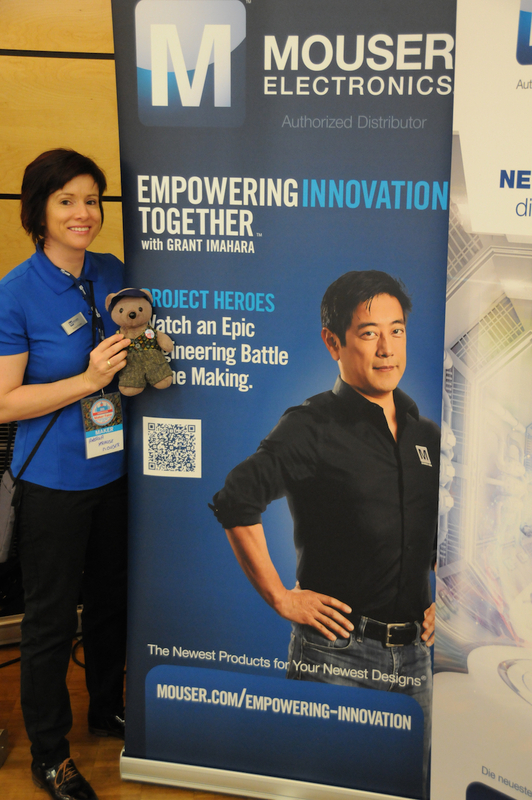 But suddenly I glimpsed Grant Imahara (one of the Mythbusters – but I think everyone knows this). As I approached I saw that it was just a photo. But Andrea from the Mouser team was so kind to hold me for a photo. Not far away I found a sandpit. 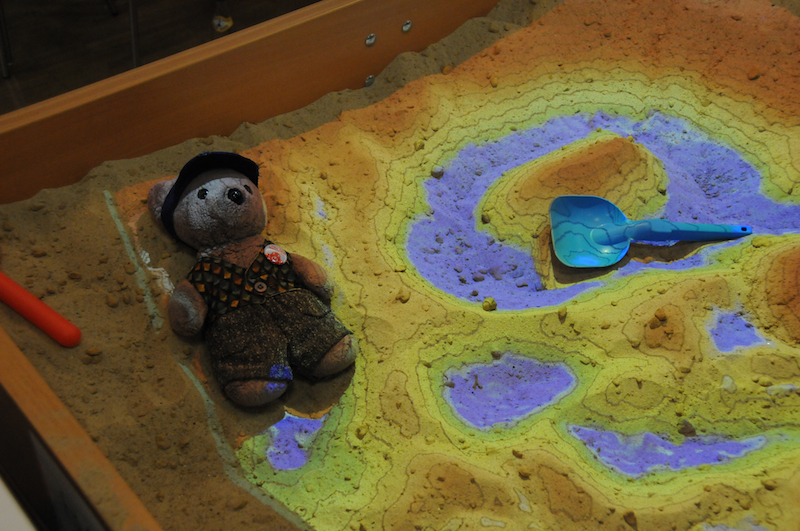 The people of sensebox built this a projected the contour lines in realtime onto the sand. The kids had a lot of fun digging in the sand. On the other side of the hall I saw the boot of the Mikromodellbauer. I couldn’t resist to play Godzilla, but a friendly Godzilla, who does not destroy anything. I was very careful not to ruin this fantastic models. There were remote controlled trucks and even a little excavator with six (!) servos built into it. Admirable work! And then I saw a spider. It was little bit creepy to be so close. Now it was time to visit the other hall. 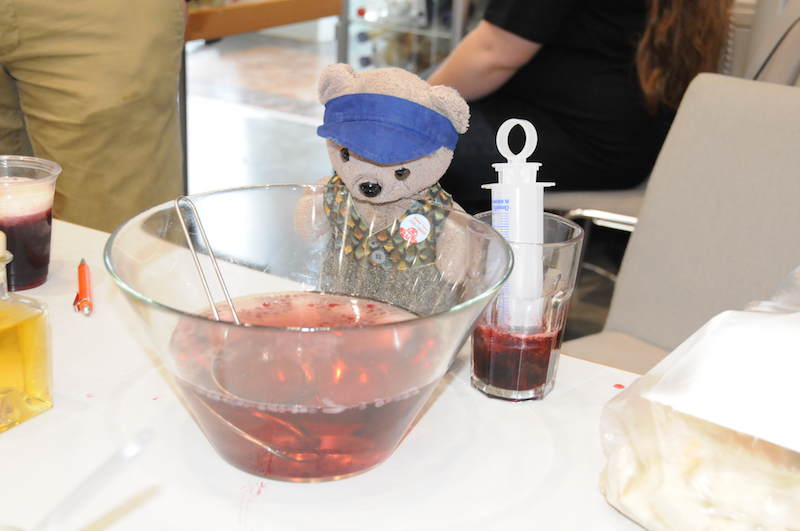 The first thin I visited was the booth with molecular cuisine. Very delicious. 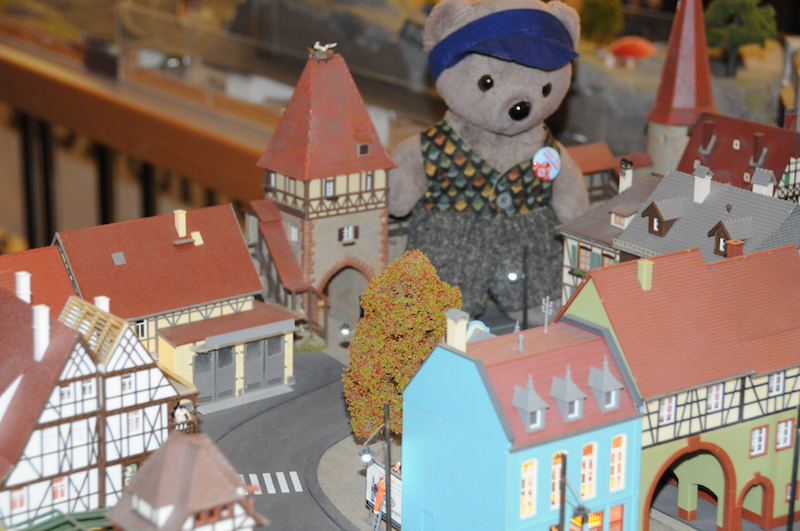 The next thing was the booth of the Ravensberger Erfinderwerkstatt. 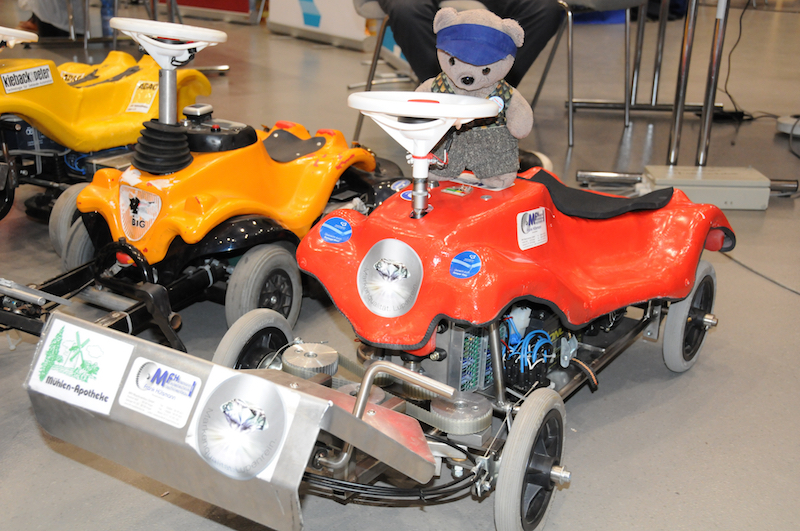 They pimped Bobby Cars and allowed me to sit in one. This reminds me of the racing car last year in Berlin. Some steps further I found these wonderful spoons. 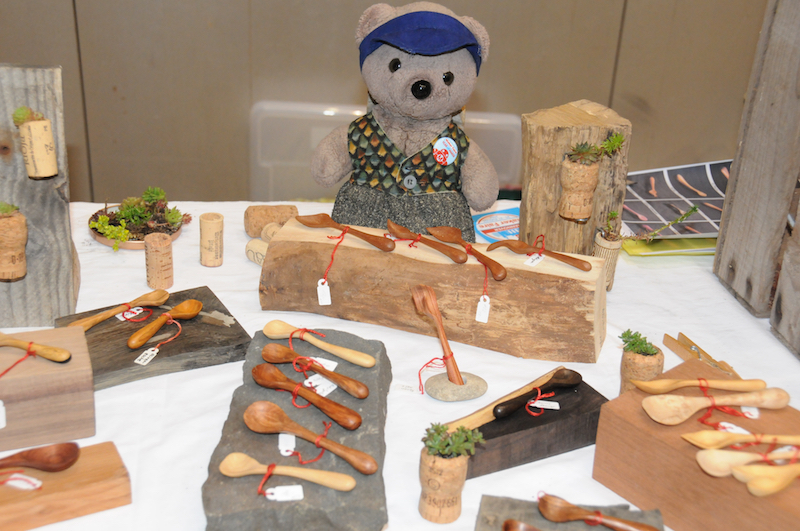 They were produced from the friendly couple of Snäll-Själ, who also are very engaged in the upcycling of used things. 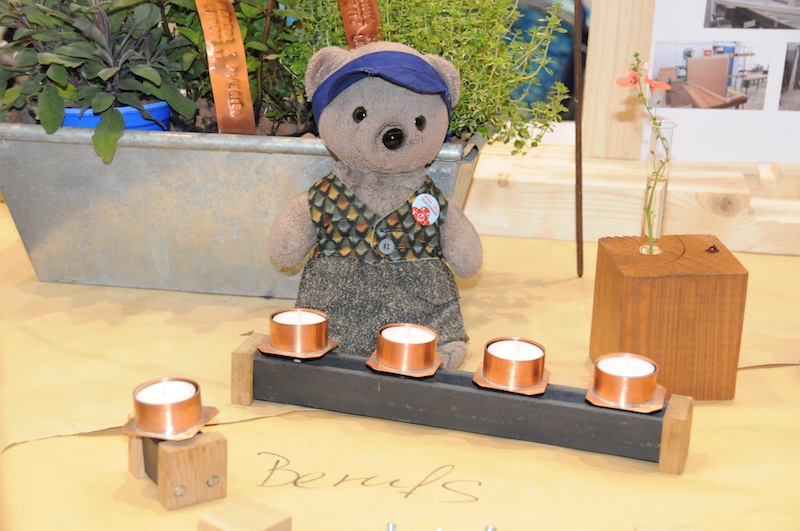 At the Stadt-Teil-Werkstatt Hannover Nordstadt I found very nice tea lights. 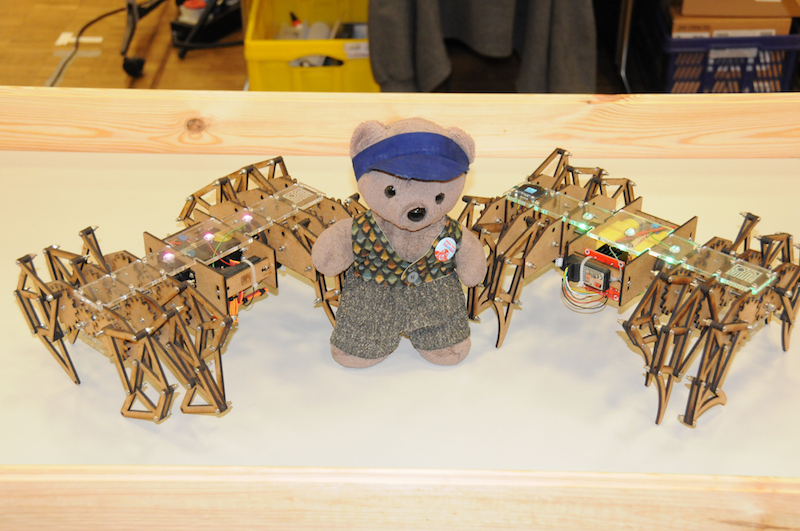 Perhaps the Arduino Group Hannover may work with them for future projects. 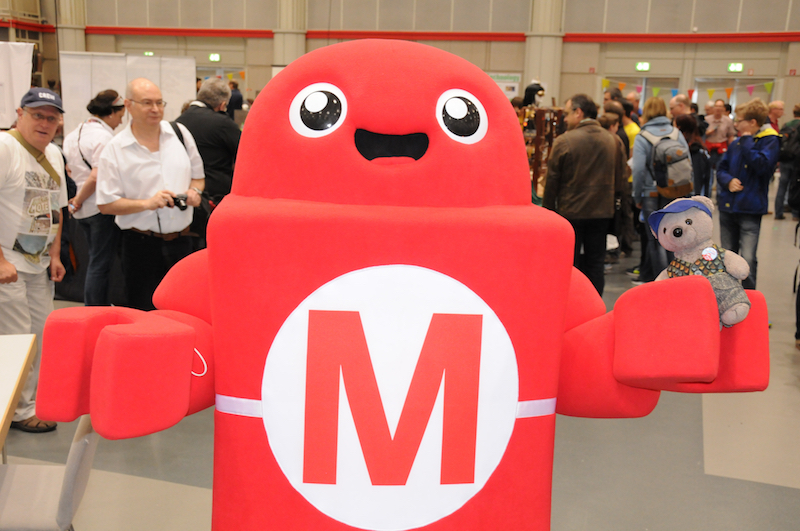 And finally I found Makey, the mascot of the MakerFaires. Now this was interesting! 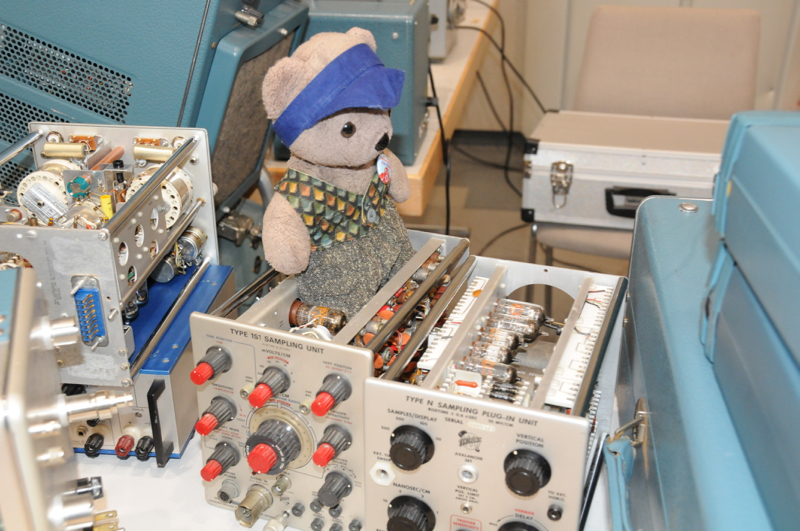 Tons of oscilloscopes. I had to inspect the different parts deeply. 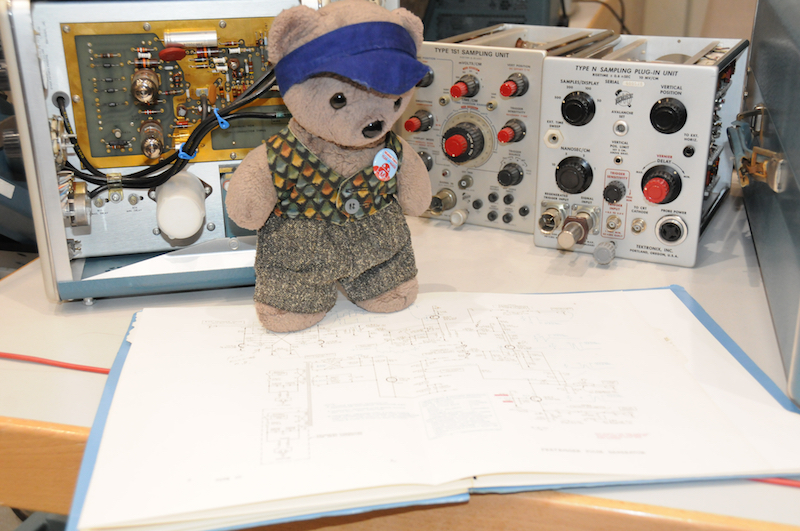 And I found an interesting circuit diagram. Perhaps I can use some ideas for the time machine I’m planning to build. In the hallway between the halls I found SaWuGo, the place to forge rings (one ring to rule them all? No – fortunately not). The guy was so kind to borrow me a ring for the photo. The Sunday began with rain, so the smiths from Hammer und Schwert, I met Saturday, moved into one of the halls. 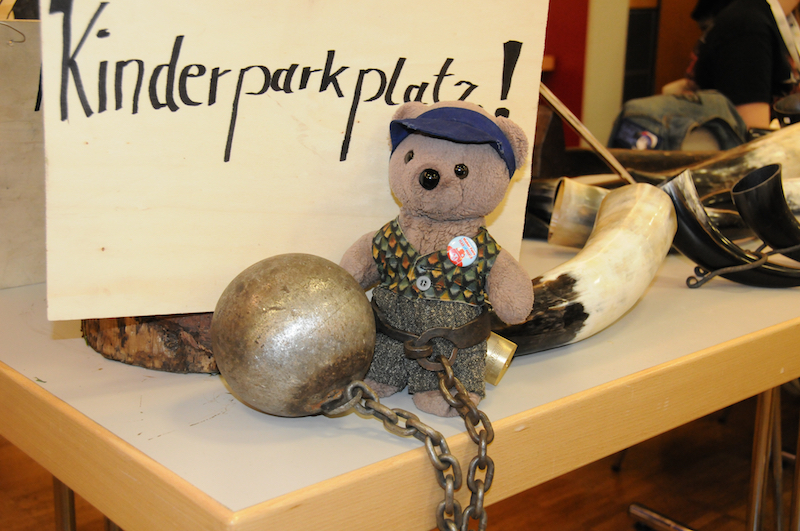 The Kinderparkplatz (parking lot for children – parents can park their children there) seemed to be a nice place. But then I had to learn, what they really meant. HELP! 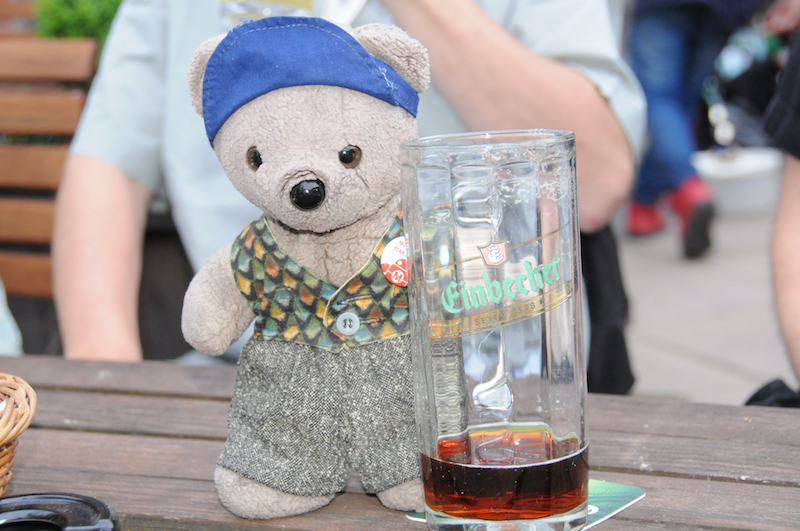 After all these adventures it was time to visit the beer garden in the zoo with the colleagues from the Arduino Group Hannover and Sven Möller (the guy with the the singing Tesla coil). 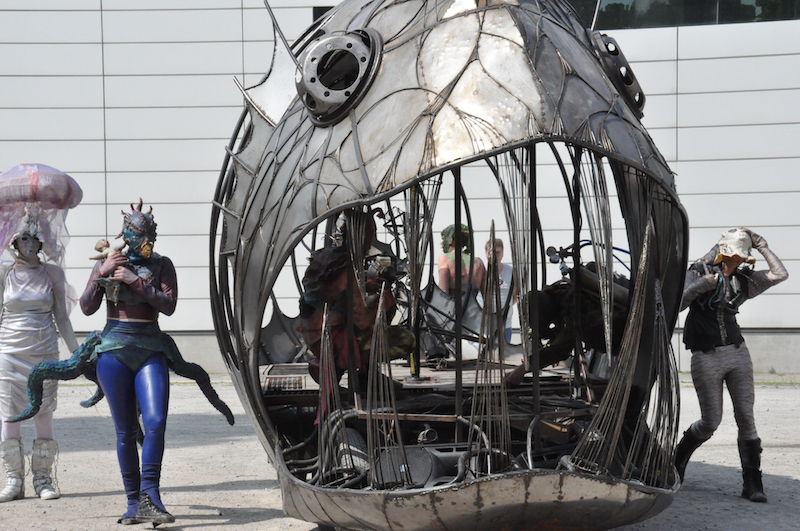 Can’t wait to visit the MakerFaire next year.